THANK YOU TO THOSE WHO TOOK PART! I hope you’re all well! 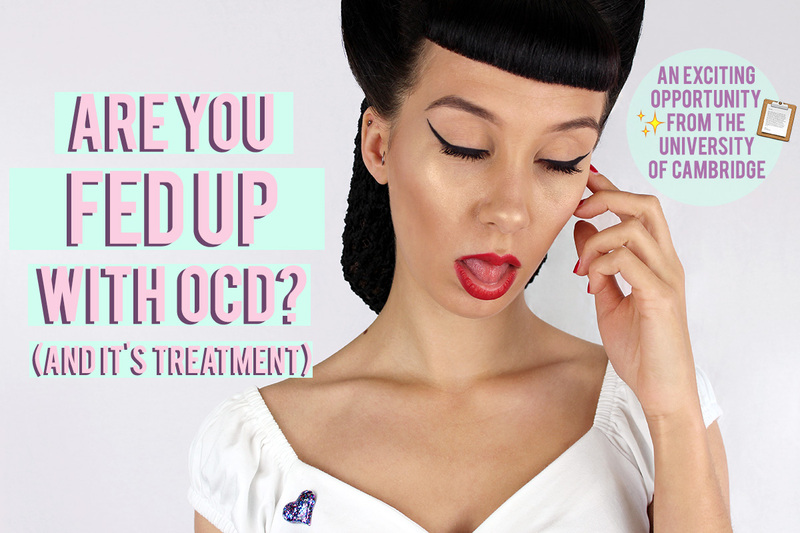 Today I received a very important email in my inbox from the Department of Biochemistry at the University of Cambridge asking me to share with you an OCD patient survey that they are conducting for the OCD Research Partnership through the Cambridge Consulting Network. The OCD Research Partnership (www.ocdrp.org) is a new medical charity, whose aim is to foster collaborative interdisciplinary research and drive the quest for new and efficient treatments for obsessive-compulsive disorder. Research into treatments for OCD is dramatically underfunded. In order to change this, they need to provide evidence to the government and other funding bodies about the urgent need to fund research for treatments for OCD. This Questionnaire is an essential part of gathering this monetary evidence, and the results will be used to support future funding applications. This is a huge thing that we have been given the opportunity to share and take part in this survey. The questionnaire is completely anonymous and should only take around 10 minutes to complete. Every completed survey increases the accuracy of OCDRP’s calculation which will be of great benefit when attempting to garner support, awareness and funding. Please follow the link below to gain access to the survey. This may help not only you but those struggling with OCD for years to come.